We pledge to serve every customer with the highest levels of sincerity, fairness, courtesy, respect, and gratitude, delivered with unparalleled responsiveness, expertise, efficiency and accuracy. We are in the business to create, lasting relationships, and we will offer the finest personal service and products by caring Family members who take 100% responsibility for meeting the needs of each customer. We sell used and brand new products. Our line of high quality of retail named brands are offered at exceptional pricing. Our family has been selling for over 10 years now, Now it is my turn to give it a try! I hope to meet everyone's expectations! You must contact us when you have received a defective or incorrect item and are requesting either a refund or replacement. We will enter the information into your order so that the Returns Department will handle your return smoothly. For sanitary purposes, ALL SALES ARE FINAL. When you receive your package, promptly check the items to make sure the items are working. We will credit or replace for DEFECTIVE items only (or for any shipping errors made by us). Please return the items in their original packaging within 30 days to the address you receive from us. Items returned without original packaging will NOT be refunded so please keep all packaging for the 30 day return period. 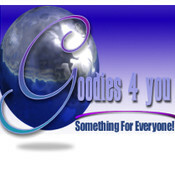 If you have further questions or problems, please email goodies4youbonanza@gmail.com. If you do not follow all of the instructions on this page you may incur a 25% restocking fee or not receive any refund at all. We have tens of thousands of products on our web store, Some of the products have measurements and some do not. We will not issue a refund for a product without measurements, due to the size. Please make sure the product you are ordering meets all of your requirements including size before placing your order. Â Â * The packing slipÂ Â * A note telling us what the problem wasÂ Â * A note stating whether you would like a refund or a replacement of the defective item.Â Â * If you do not include a note, you may not be refunded! Please allow up to 3 weeks to receive your replacement or refund. We are dedicated to carrying only the highest quality adult products and maintaining attentive customer service. We hope you will be happy with our services. All merchandise is guaranteed for 30 DAYS from original date of purchase. Some of our merchandise is guaranteed with a manufacturers warranty. We agree, at our option to repair or replace any defective merchandise during the 30 day warranty period. Defective products returned to us in original packaging with all accessories and owners manual will be replaced or repaired. Defective products returned to us missing accessories or original packaging will be replaced or repaired as received. a Company Credit is requested (Sorry No Cash Refunds). The returned item should include a note explaining the problem & the appropriate "return shipping address". You will receive an email from our returns department informing you of your company credit after it has been applied to your account. No returns sent COD will be accepted. Returns must be sent pre-paid. IMPORTANT: All returns must go through our online Return Authorization process. To get an RA number Email us and we will send the instructions. When you have finished the RA form you will receive an RA number which will need to be printed clearly on the outside of the package being returned. Any returned package that does not have an RA number will be returned to sender. RA numbers are valid for 14 days. Goodies4You doesn't have any items in their booth! They answered my questions promptly, made sure I got what I needed, and followed up throughout the whole process. They were attentive, courteous, and extremely helpful.